A lot is to be expected from a flower shop that has been rated best in overall quality by CNBC. That being said, From Your Flowers never disappoints. This flower shop makes delivery of fresh flowers all over Indiana and has floral gift baskets as well. This flower delivery company is operated by professional florists with over 35 years of combined experienced in the industry. Thus, whether it’s wedding flowers or funeral flowers, From Your Flowers, is able to deliver. Owned by one of the most reputed florists, A Lily’s Dew Drop delivers flowers throughout Fort Wayne and its surrounding areas. The shop has hundreds of beautiful floral arrangements designed to fit any budget. This flower shop has acquired a reputation for its value and customer services. 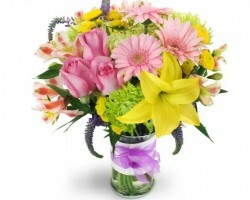 Additionally, clients can conveniently access the shop’s floral designs through its official website. Alternatively, clients can make orders by visiting the shop, which is located at 17508 State Road 37, Harlan. Federal Florist is one of the best florists in Fort Wayne, IN. 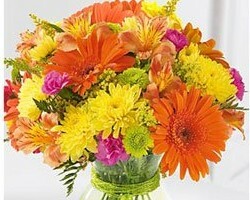 This flower shop makes delivery to local clients as well as international and national clients. 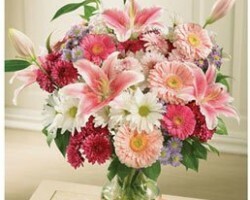 The company offers fast and secure delivery of flowers throughout the US. 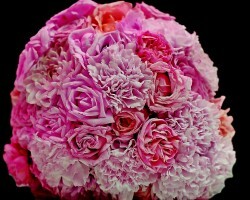 With its vast clientele base, this flower company boasts of one of the widest selection of fresh flowers in the country. Thanks to its wide selection of flowers, the company is able to cater to clients of all ages. Cottage Flowers is a Fort Wayne Florist owned business that offers flowers for all kinds of occasions from weddings, birthdays to funerals. The shop is available 24 hours a day to help clients make the best selection of flowers and floral arrangements. The prompt and convenient services offered by this shop are backed up by its 65 years experience in the flower industry. Clients can choose from a selection of fresh, affordable floral arrangements and permanent floral creations for adding color to their special occasion.